We are all victims of the ever increasing costs of electricity. The long electricity bills at the end of every month have us complaining. Although we cannot control the rising cost of electricity, we surely can optimise domestic power to sustain our electricity consumption and save costs on lengthy electricity bills. • To begin with, do away with the standard incandescent lights at your home and replace them with Compact Fluorescent Lamps. These consume only one third of the total electricity consumed by white tube lights and yellow bulbs. It has been found that the use of CFLs instead of compact fluorescent bulbs cut the total electricity consumption by half, thereby slashing your electricity bills and helping you save money. • A smart way to consume and optimize domestic power is to replace area based lighting wi8th task based lighting in areas where you do not need a continuous supply of light. For instance, if you are in a study and want light on your work bench you would not require the entire room to be brightly lit. 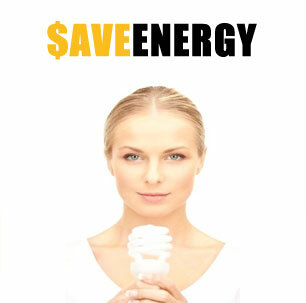 Simply replacing the high lights with cost saving CFLs can help you save money on power. • Use compact and power saving appliances at home also help to curb your electricity consumption. Not pre heating the oven, for example, is a way to curb the excessive consumption of power. • During the winter months, it is a good idea to include a programmable thermostat in your heating system. Using the air conditioning system only when it direly required during summers is another way to optimise power consumption. Additionally, using the fans and opening windows for cross ventilation also helps your house to cool down, thereby saving you the money that you would otherwise spend on using the AC. • Using natural ways of drying clothes by hanging them outdoors or indoors on a clothesline negates the necessity of using an electric or gas clothes dryer. This goes along way in reducing the power consumption and saves money too. • Eliminating the ‘phantom load’, or any device that still uses power even in a switched off mode can help in reducing the power consumption too. A befitting example of phantom load is a traditional TV set. Even when you think that it is turned off, the tube ligaments have power in them. These only get warmed up and work instantly when you turn the TV on. Doing away with such devices will bring down your total power consumption and considerable reduce the amount of money you spend on them. However, if you must have them in your house, make sure that you unplug them each time after use! A little effort from your end can help you save lots of money. Hopefully these tips will come handy in reducing the power consumption in your house and help you look at your favourite power devices from an all-new perspective. Remember to balance your convenience against the amount of saving you will make. 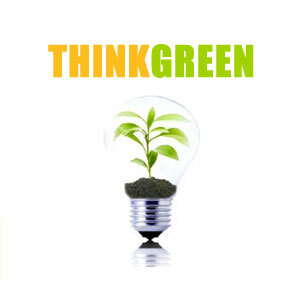 Besides, these tips will also help you do your bit towards sustaining the environment.